This packet sows up to six 10" x 20" flats. There is nothing like the aroma of basil! 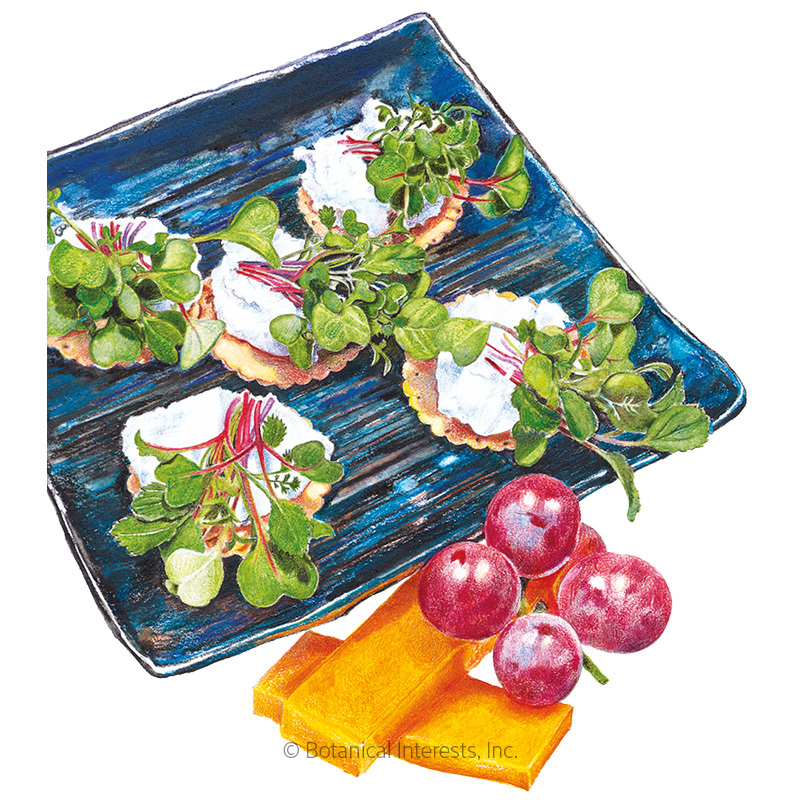 Basil microgreens have a milder flavor than full grown, so more is more with these little guys. 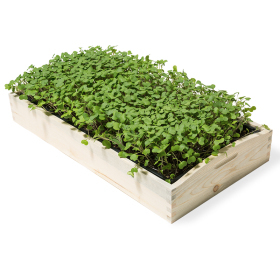 Basil microgreens can be grown indoors at any time of year and are a nutrient-packed way to get your "green fix" in the dead of winter. Move containers as needed for best light exposure and temperature (65°-75°F). 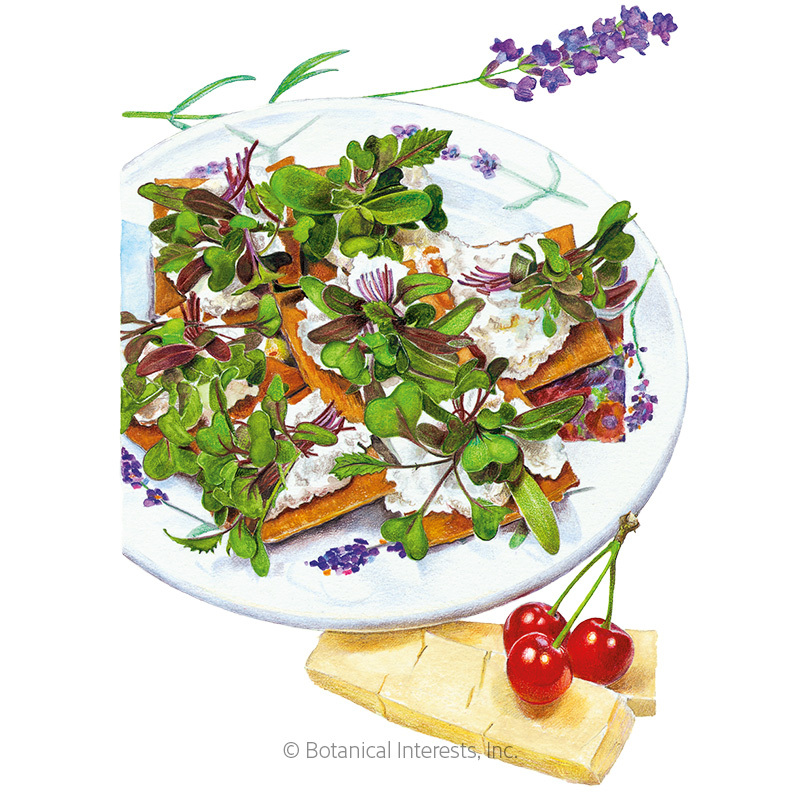 Basil microgreens are ready to harvest in about 16 to 25 days after sowing, when they have cotyledons (first leaves), or when the first true leaves (second set of leaves) have begun to form, depending on preference. Native: Probably Africa, but in cultivation for so long that it cannot be verified. 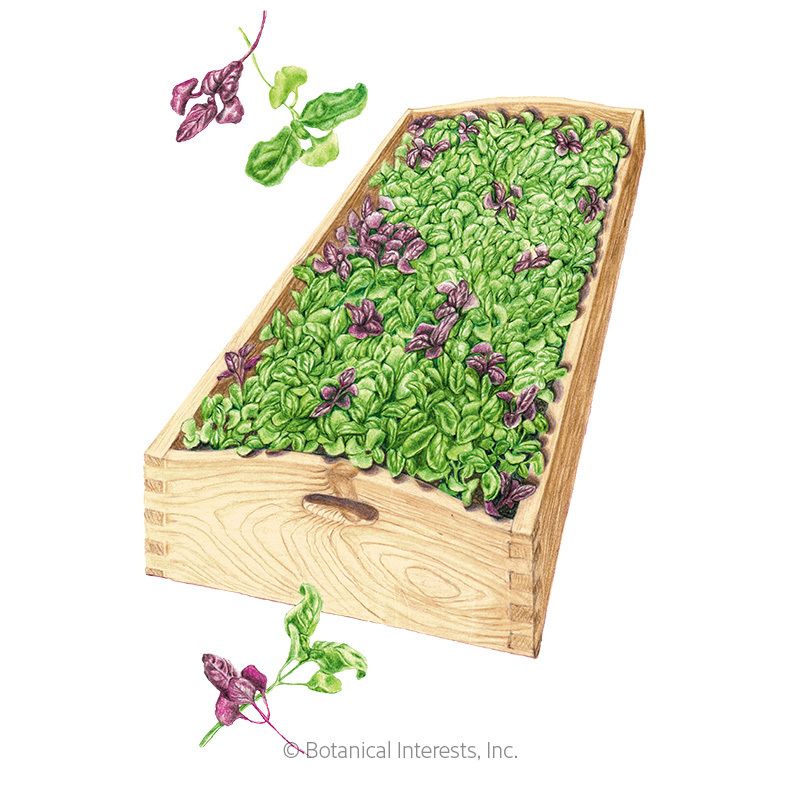 Variety Information: Mix of Genovese and 'Dark Opal' basil with almond-shaped green and purple leaves. When to Sow Outside: Not recommended. 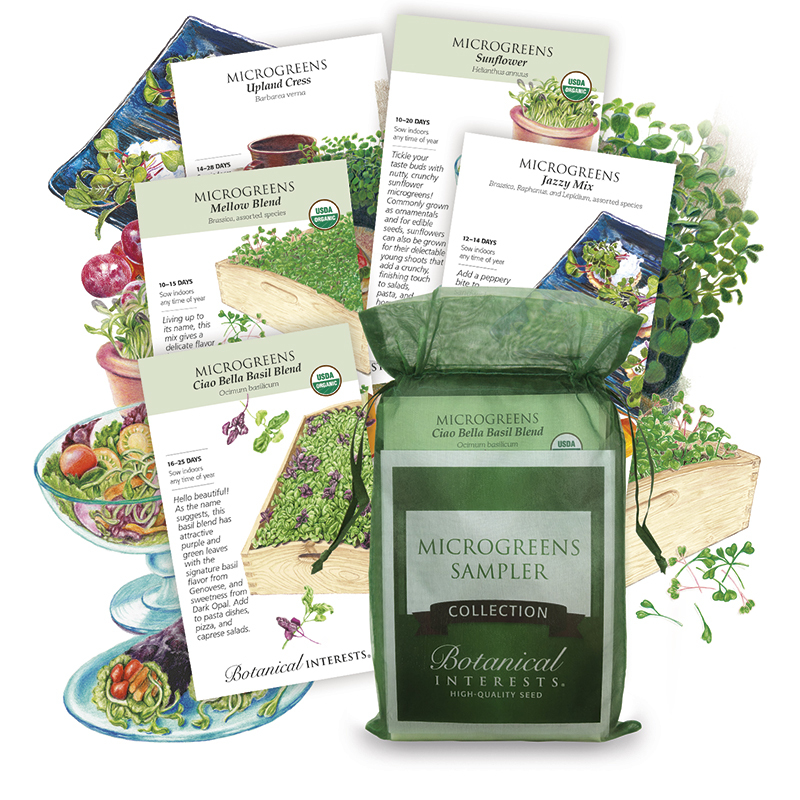 Microgreens are fragile, and outside soil makes them difficult to clean. When to Start Inside: RECOMMENDED. Sow indoors any time of year. For a continual crop, sow every 7 to 14 days. Harvesting: When seedlings emerge, the first pair of leaves to show are the cotyledons, which can look very different from the leaves that follow, called "true" leaves. Microgreens are ready to harvest when they have cotyledons, or when the first true leaves have begun to form, depending on preference. Cool growing temperatures may slow the expected amount of days to maturity. Using scissors, cut microgreens just above the soil line when you are ready to use them.